#95 Daily Act of Kindness: Leave a kind note on the dishes for the dishwasher to see. 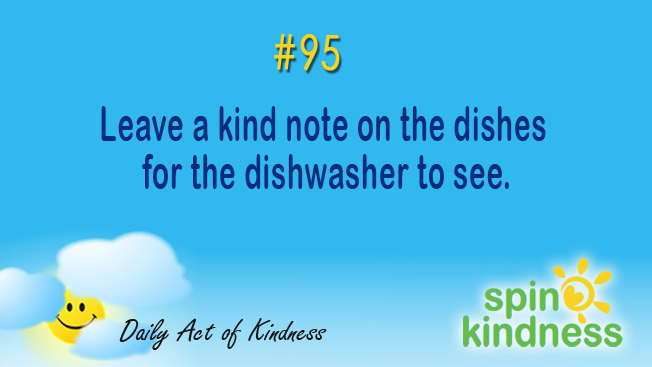 Home / #95 Daily Act of Kindness: Leave a kind note on the dishes for the dishwasher to see. Today’s Challenge: Leave a kind note on the dishes for the dishwasher to see. #94 Daily Act of Kindness: Complete a survey at the bottom of the reciept. #96 Daily Act of Kindness: Invite someone to coffee, “just to catch up”.